The content of this website is for general information purposes only. While enough care is taken by Kizen Estates to ensure that information on the website is up to date, accurate and correct, readers are requested to contact the authorized sales representative before relying upon the same. In no event will Kizen Estates offer any warranty on the information made available, or be liable for any loss or damage including without limitation, indirect or consequential loss or damage in connection with, the use of information in this website. By using or accessing the website, you agree with the Disclaimer without any qualification or limitation. Design, specifications, floor plans, brochures and interactive plans etc., are subject to change without prior notice. Computer generated images; walkthroughs and render images are the artist’s impression and are only an indicative of the actual designs. The contents of this website are meant to provide information to the readers of this website about ourselves, our various projects, various initiatives taken by us etc. They are only for general information and are subject to change. By no means, the information on the website shall be construed as an advertisement and/or invitation or offer for sale. To find out more about Projects/Developments, please call +91- (040) 42212425 / +91 9392003370 / +91 9966241166 or visit our Sales Office during working hours and get in touch with authorized Kizen Estates Sales Representative. Please note that by sharing any of your contact details on the website, you are authorizing the Sales Response Team of Kizen Estates (even if you are registered on the DND Registry) to provide information on our projects over Calls, SMS & Emails. Intelligent, innovative, sustainable communities for a healthier, luxurious and a more comfortable life. The mission behind Kizen Estates. * Upholding the vision of creating value through sustainability, Kizen Estates Pvt. Ltd. works to provide the highest quality of service and products of great value to its customers. * We believe in absolute transparency both in work and in transactions. * We believe in customer-centricity. * Use technology and resources with environmental sensitivity. * Be adaptive, diverse and transparent in operations. * Add value to our stakeholder through precise and strong execution. * Our Focus is on operational excellence for cost-efficient building and development solutions. * Provide the highest standards or quality and service without any compromise. Going Green for the future! As of today, the quality and standards of living have definitely risen beyond our imagination, however, we are still right in the middle of the hustle and chaos of everything happening around us. Having just a cozy house is not enough. Upholding the vision of creating value through sustainability, Kizen Estates Pvt. Ltd. takes pride in establishing Green buildings for a better quality of life. We have the perfect solution- our unique sustainable, spacious, opulent residential communities where there is enough room for health, luxury and grandeur in perfect balance with lush green nature and a healthier, pollution free environment. 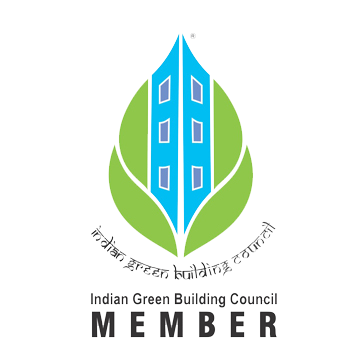 Our projects are planned, designed and will be executed according to the norms of IGBC. Kizen Estates green-certified properties are not only constructed using eco-friendly building materials and technology but also offer features such as water harvesting infrastructure, green energy options and waste composting among others for continued sustainable living. At Kizen, we undertake each and every job with a Passion for Green! We follow the best practices to create environments that are compliant in every way.